Dennis Crane had been overlooked when the wall was dedicated last year. 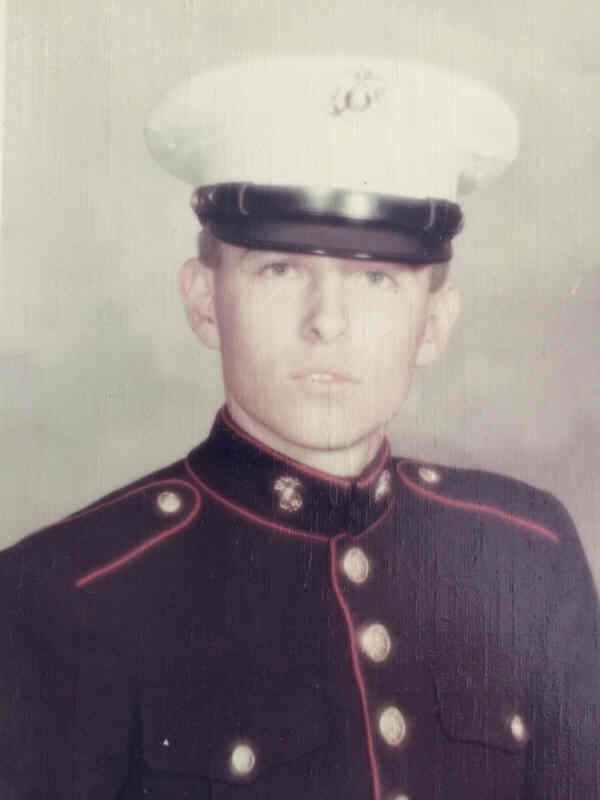 while serving with the U.S. Marine Corp. Born in Jersey City in 1947, he moved to Raritan in 1954 where he lived on Vanderveer Road until 1960. Carpenter Steel Corporation of North Brunswick. His death is believed to have occurred during Operation Mameluke Thrust in Quang Nam Providence. While engaging a large enemy force he was evacuating wounded soldiers when an artillery shell landed near him resulting in his death. Five other men were also killed. 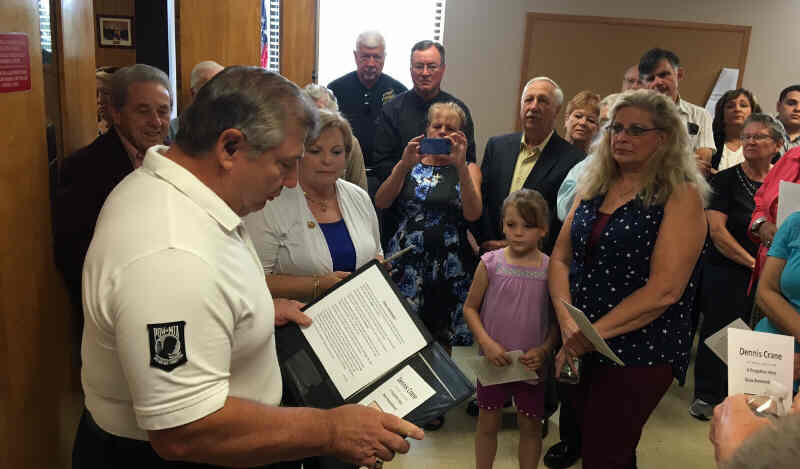 Corporal Crane would receive the Purple Heart. a brother, Bryan and three sisters, Diane, Janice, and Colleen. 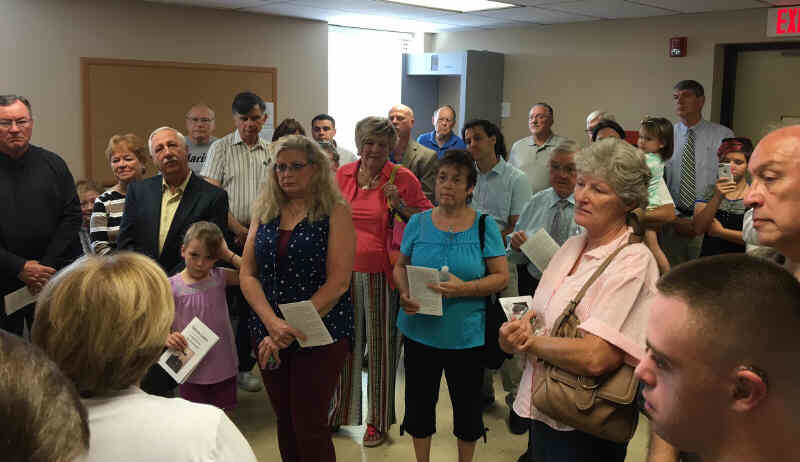 About 30 people attended the unveiling. A local Vietnam Veteran said a few words. 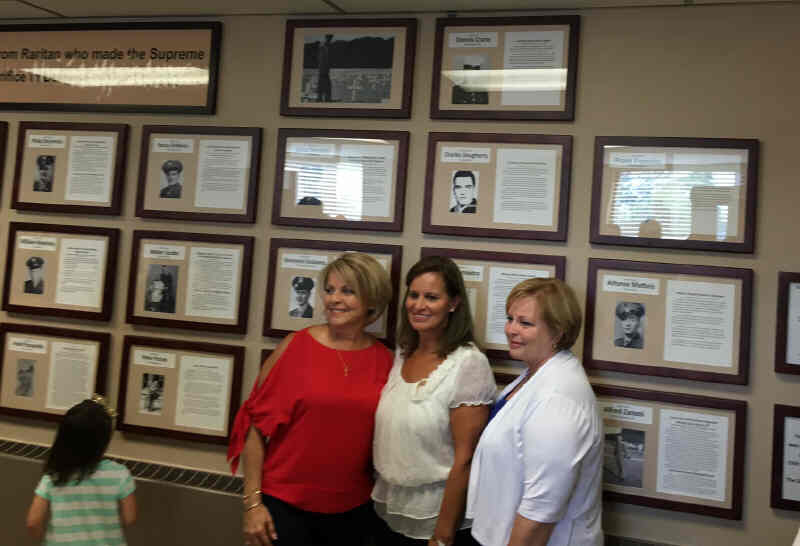 Dennis's three sisters Diane, Janice, and Colleen were on hand to unveil his "tribute frame". 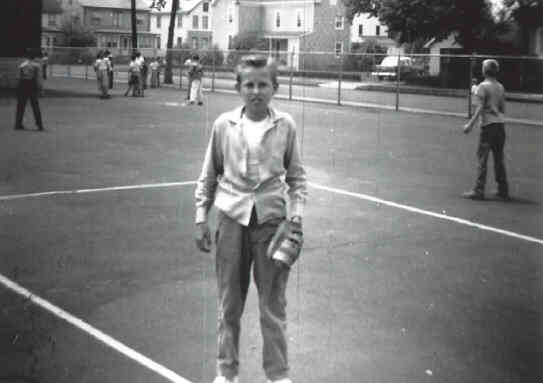 Dennis above during the years that he attended the Raritan Intermediate School. called "Cute". It seemed every girl in the class hoped to sit next to him or just talk to Dennis. Dennis was fun and had no idea the girls all had a "crush" on him. He was friends with everyone and I never knew him to be mean to anyone. the classroom and study. 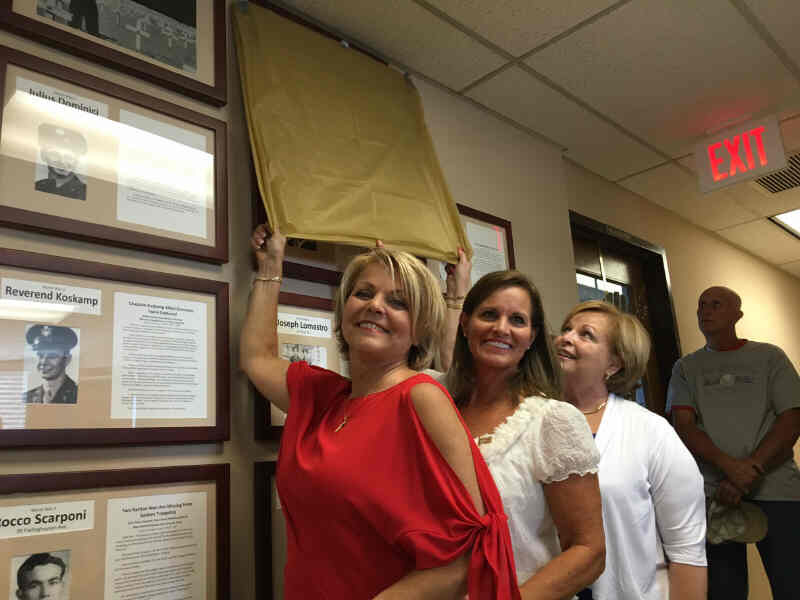 I remember every time Mrs. Hall left the room to check on the class we started laughing and we laughed a lot that morning. I got the 3rd degree on the playground that day from all the girls. After all I had spent an hour with Dennis Crane. If I did my chores all week and earned the 25 cents to go to the Court Theater on Saturday afternoon it was a great day. The girls always made sure we let "the boys" know we would be there. We always left out telling our mothers "the boys" were also going. When Dennis would come with his friends he would plan to meet Gerry, "his girlfriend", under the clock in the theater so they could sit together. Her friends had to sit rows behind them and his friends did a lot of walking around making funny noises while we girls did a lot of giggling. Gerry came over we HAD to take a walk past Dennis's house. We never saw him outside, but she still made me go. 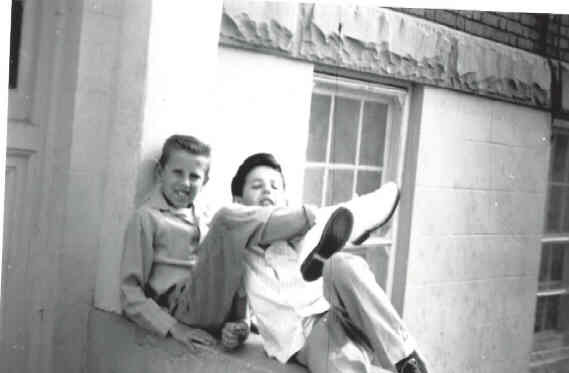 we would still be grounded, but Gerry "LIKED" Dennis and "like" was a big thing when you are 8 or 9. 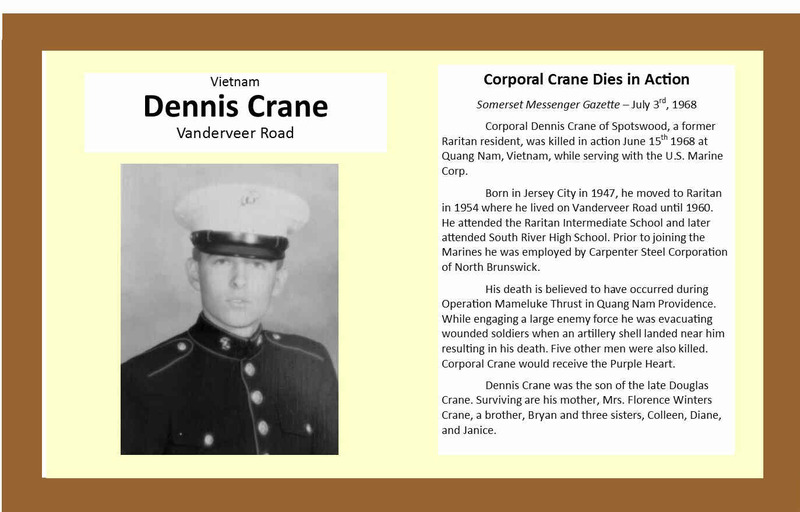 I have never forgotten Dennis Crane. Dennis was part of my "younger years" and a lot of fun memories.